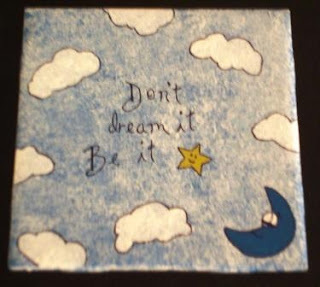 These tiles make great birthday, graduation, Christmas or Mother's Day gifts. I always give a coin easel in addition to the tile as a gift so that the tile can be displayed. Otherwise you could attach a loop of ribbon to the back of the tile with hot glue to hang the tile from a nail. If the tile has a glossy finish, it is necessary to make the surface more rough in order for the writing and design to stick. One way to do this is to sponge paint the tile using acrylic paint before tracing a design onto the tile. After roughening the tile, trace a design and/or saying from the scrapbooking book onto tracing paper or white tissue paper. If the size of the design needs to be modified, you can use a copy machine to adjust the size. Using the Sharpie or a pen that will soak through the tissue paper, trace the design onto the tile. The design should be faintly visible on the tile after removing the tissue paper. Use paint, pens, or markers to finish your design. If you make any mistakes when tracing your design or decorating your tile, you can use fingernail polish remover to remove all the paint and writing from the tile and start completely over. Before attaching any embellishments (i.e. stickers or jewels), you may want to use a sealant that can be sprayed on the tile to avoid smearing of the paint and markers. "We create our tomorrows by what we dream today." "Never say the sky's the limit when there are footprints on the moon." "Stand for what you believe in, even if it means standing alone." 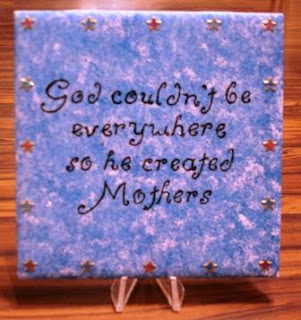 "God couldn't be everywhere so he created Mothers." "2 Teach is 2 Touch Lives 4 Ever." Search for more sayings to add from our Inspirational Quotes page. 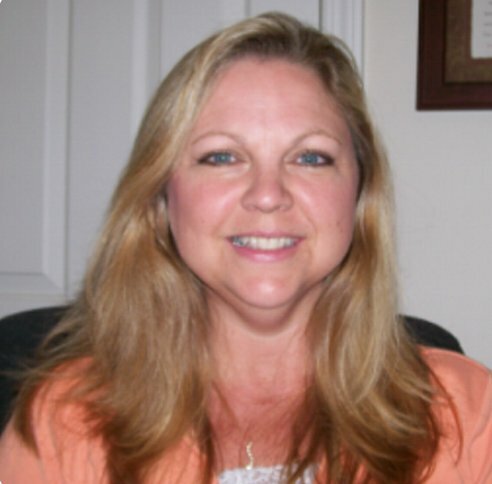 Copyright © 2008 by Jill Badrick. All rights reserved.